Solidoodle SD1001-A : Best Intro Printer? The Solidoodle 2 comes fully assembled for $499, and according to previews, prints as well as the Makerbot Replicator. The SD1001-A has a steel frame and can build up to 6 x 6 x 6 inches. From demo pictures, this could be the best introductory printer available now. 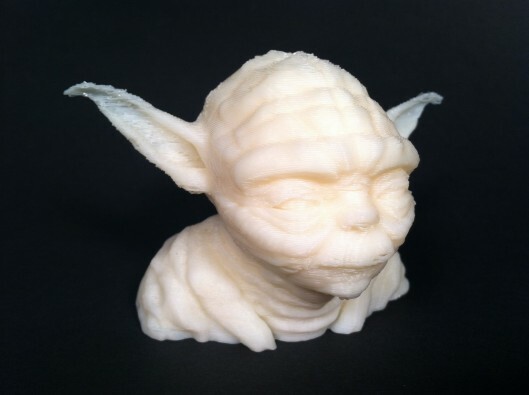 It prints ABS at 0.3mm resolution, and uses pronterface and skeinforge. We recommend the Pro Model, since the heated platform is almost always the first upgrade anyone does anyway. An extra $100 seems high for an outer cover though, so you might be better off building your own. Solidoodle was started by Sam Cervantes, former chief of operations for Makerbot. 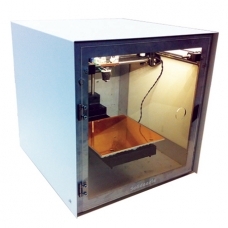 Solidoodle seems to be setting the stage for lower price, but still high quality 3d printers. Makerbot may have a challenger with the Solidoodle SD1001-A.